New national guidelines endorsed by the Australian Health Ministers’ Advisory Council have been released in January 2019 for healthcare workers who perform exposure-prone procedures, and for healthcare workers living with a blood-borne virus (BBV). These are the Australian National Guidelines for the Management of Healthcare Workers Living with Blood Borne Viruses and Healthcare Workers who Perform Exposure Prone Procedures at Risk of Exposure to Blood Borne Viruses. Exposure-prone procedures (EPPs) are procedures where there is a risk of injury to the healthcare worker, with exposure of the patient’s open tissues to the blood of the health care worker. All healthcare workers who perform EPPs are required to take reasonable steps to know their blood borne virus status and to follow these guidelines. Previously, healthcare workers living with BBVs were excluded from performing exposure-prone procedures, but these new guidelines reflect the effectiveness of current antiviral treatment for hepatitis B, hepatitis C and HIV. These changes are also consistent with those made in other countries. Why do we have these guidelines? Some procedures undertaken as part of medical care carry an extremely low chance of patients becoming infected with a blood-borne virus from a healthcare worker living with a BBV, even when usual infection prevention and control practices are followed. While still extremely unlikely, there are certain procedures where the healthcare workers are at a higher risk of getting a BBV from a patient and also of passing a BBV to a patient. However, when healthcare workers living with a BBV are complying with the guidelines, this risk is minimised. The guidelines also support healthcare workers to get timely testing and treatment. A broad range of health professional groups were consulted and provided feedback during the development of the new guidelines. Will I know if my doctor or other healthcare professional has a BBV? No. Healthcare workers have the same right to confidentiality and access to confidential testing, counselling and treatment as the general population. 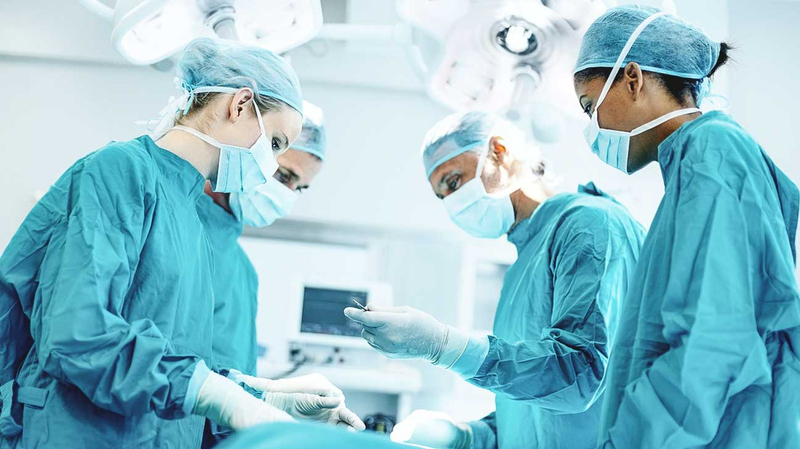 The guidelines are in place so that all patients can feel confident that their procedure is being performed in a way that protects their health and safety. To read the guidelines online, visit Communicable Diseases Network Australia, Department of Health. Next Next post: Why are a small group of people born immune to hepatitis C?